Dirk studied at the London Business School, majoring in marketing and finance, before moving on to assume various senior management functions at major multinational company groups. Dirk has more than 15 years of investment experience, mainly in the venture capital and private equity field. He started his investment career on the institutional side, running the venture capital arm of Mitsui & Co. in Europe, where he was managing the portfolio companies in the technology sector. Dirk’s investing focus has been digital media including ad-tech and video platforms. Having spent considerable time assessing investment opportunities, and studying the DOOH market for Mitsui, he soon became an expert in a brand new industry which led Dirk to global roles at Neo Advertising and NEC Display Solutions. Having identified a fundamental issue that would serve as a major barrier to growth for the DOOH market, he helped NEC Display Solutions launch the ad-serving platform VUKUNET in Europe. At the London-based Private Investment Boutique, DeBere Capital Partners, he is a Managing Partner, where he overlooks the investments into emerging technologies, as well as managing global investor relations. 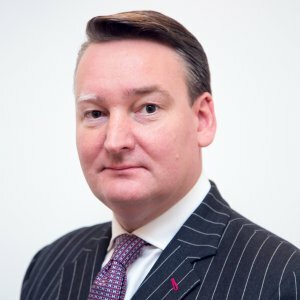 In addition, Dirk serves as CEO and Trustee of his own Single Family Office, is Founder and President of the Digital Signage Federation Europe (nee OVAB Europe) and serves as a Non-Executive Director to several technology and investment companies in the UK and Silicon Valley. Dirk is a well-respected industry leader on technology investing, he is a regular speaker at global industry conferences, in New York, Tokyo, Moscow, London and the Middle East.